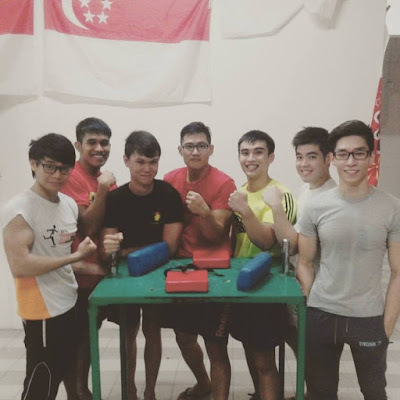 Six members from Singapore's Armwrestling's team will travel to Malaysia for the 37th WAF World Armwrestling Championships come 26th September. They will be in familiar ground as the team regularly competes in Malaysian armwrestling competitions. "There is a slight advantage because it is more convenient, We know Malaysia and the weather, we are all accustomed to it. We are familiar with the area and we know the people." said Valen, who heads the Singapore Armwrestling team. Valen won big last year, triumphing in the XIII Asian Open Arm Wrestling Championships under-70kg category and the FitX Invitational Arm Wrestling Cup 2014 under-80kg category but this World Championships will be his biggest competition yet. "It is my last year in junior and next year I will be serving NS." said Valen. He targets a podium finish for his dominant hand. "For my right hand, my aim to is to get top three. For my left hand, it depends, there are around 14 to 15 competitors in my class so maybe about half, top seven or top eight, realistically." It is the first time the world championships is hosted in the South East Asia region with this year's edition taking place at Berjaya Times Square Hotel in Kuala Lumpur. Valen reckons this year's championships is a great opportunity for the region's arm wrestlers. "It is also a stage for South East Asia and arm wrestlers around the region to see where we actually stand in the arm wrestling world." 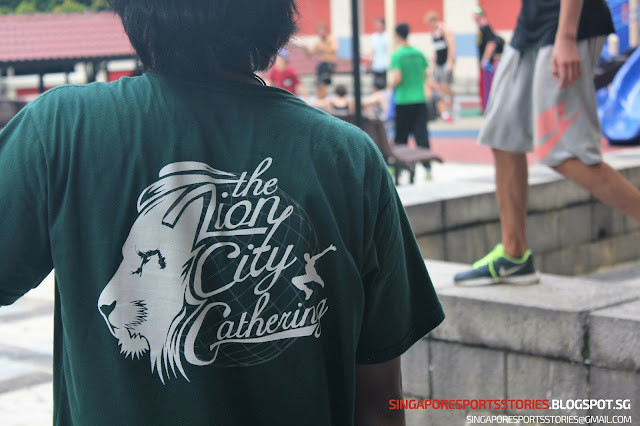 Singapore will be represented in numerous categories with Joshua Tay in Junior 18 boys 55kg, Joshua Chen in Junior 18 boys 60kg, Joshua Park in Junior 21 men 60kg, Tay Jia Jun and Valen Low in Junior 21 Men 65kg while the team's oldest arm wrestler, Dave Hum will compete in the Master Men 70kg. All will be vying in both left and right hands. The championships will run from 26 September to 4 October.